J’aime votre composition originale. C’est une superbe photo. Lovely bright and colourful image Ton. 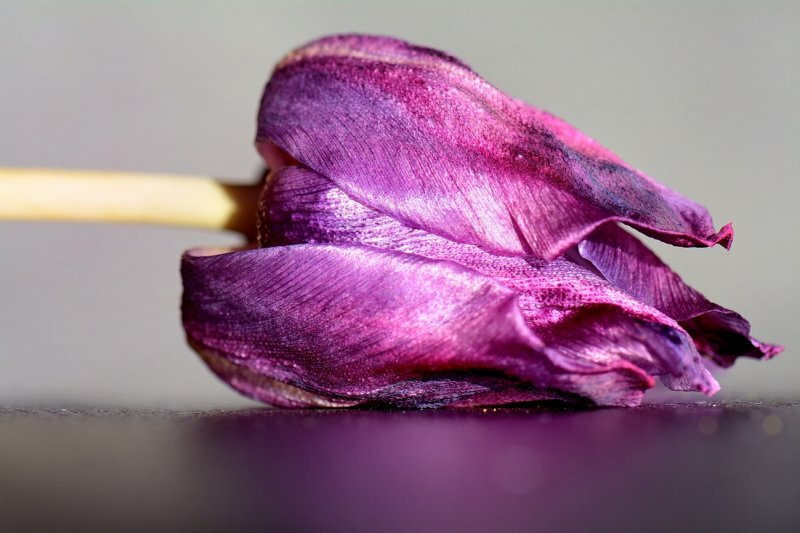 A stunning close up of the satin sheen on this fallen flower. Superb details, colors, textures and reflections. V.
Beautiful colors and the textures are amazing to see. "V"
Amazing close up stunning floral. Light and resolution is spot on and the light is magnificent. A very lovely and very colorful image, Ton! Amazing color and excellent detail. So beautiful even when well past its prime. V.